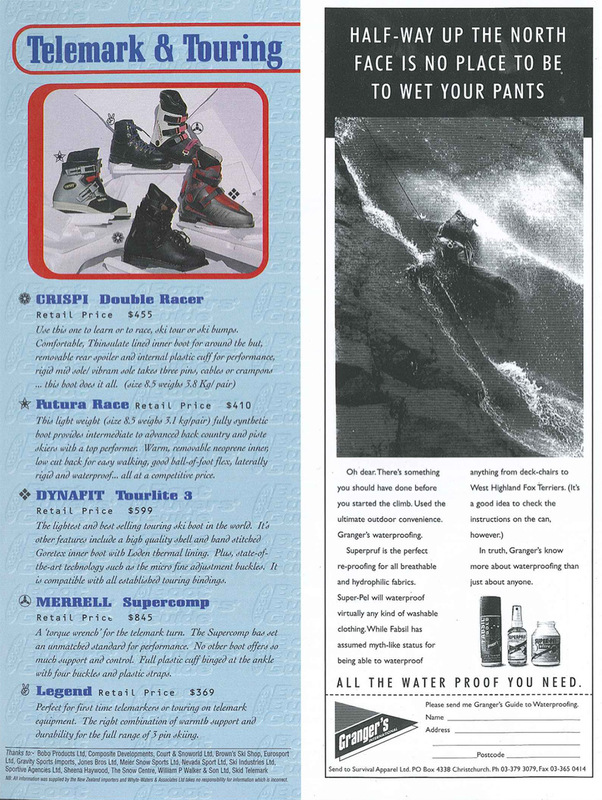 This Friday we cast our minds back to June 1996 and reminisce on equipment of days gone by, learn more about the art of competitive powder 8’s, and get schooled on the 3 freestyle moves du jour – the spread, the daffy and the twister. 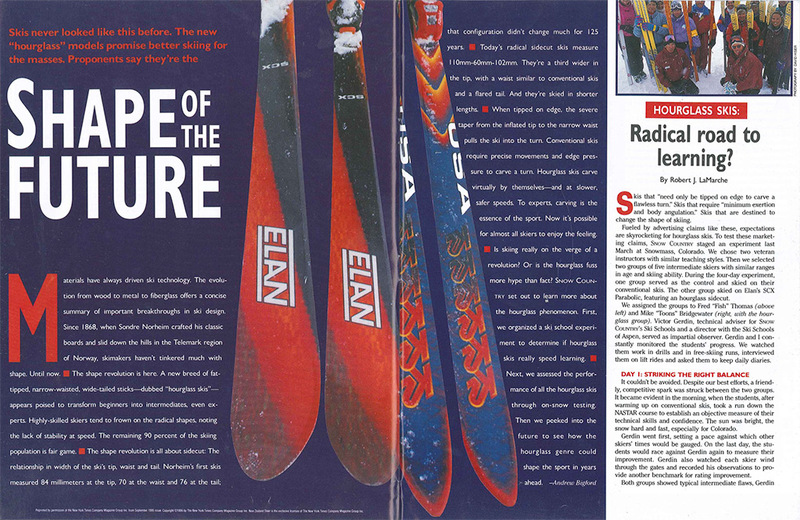 The New Zealand Way 1996 South Pacific Powder Eights were held in the heli accessed terrain of the Harris Mountains. 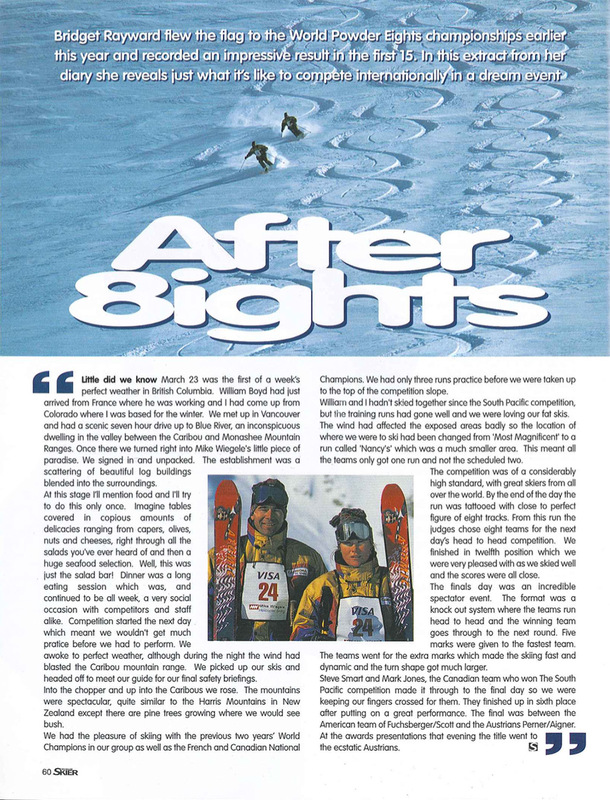 Founded in 1981 by Paul Scaife, owner of Harris Mountain Heliskiing, the competition grew to become one of the most prestigious on the world circuit. 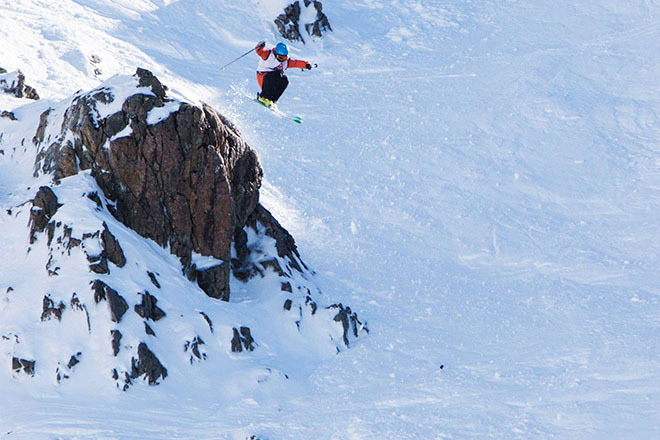 Two teams emerged as winners, with the South Pacific title being taken by Cardrona instructors Bridget Rayward and William Boyd. 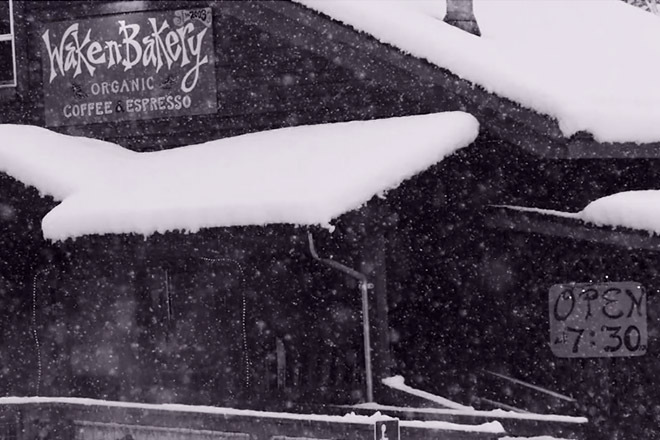 Bridget also shared a ‘diary entry’ about her time away painting 8’s on a dream mountain with a salad bar to die for. 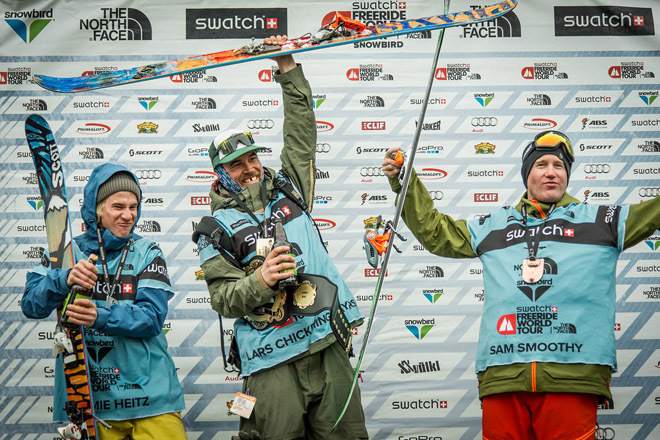 Former Treble Cone marketing coordinator Mark Jones and Steve Smart took out the open title awarded to non-resident teams. 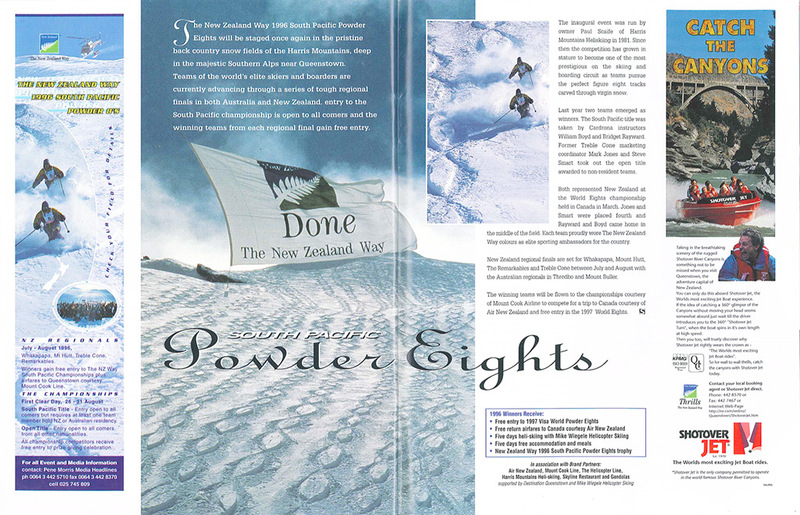 The winning teams received free entry to the 1997 Visa World Powder 8’s, free return airfares to Canada courtesy of Air New Zealand, 5 days heli-skiing with Mike Wiegele in Blue River, 5 days accomdation and meals, and a trophy. Quite the haul! 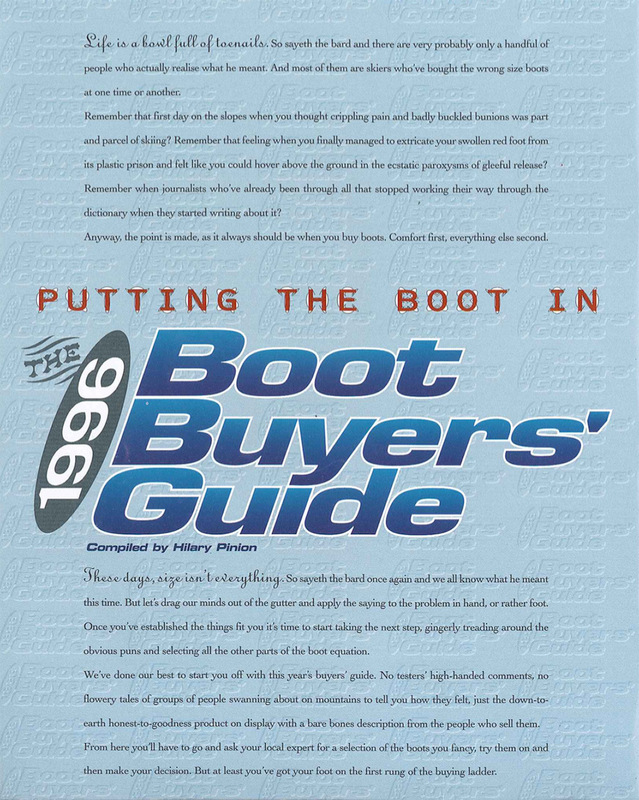 PUT A SOCK IN IT – THE 1996 BOOT BUYERS GUIDE. A wordy but worthy intro to a catalogue of plastic foot prisons. Forward lean to get you out over the tips of your 212’s appears to be the feature of choice. 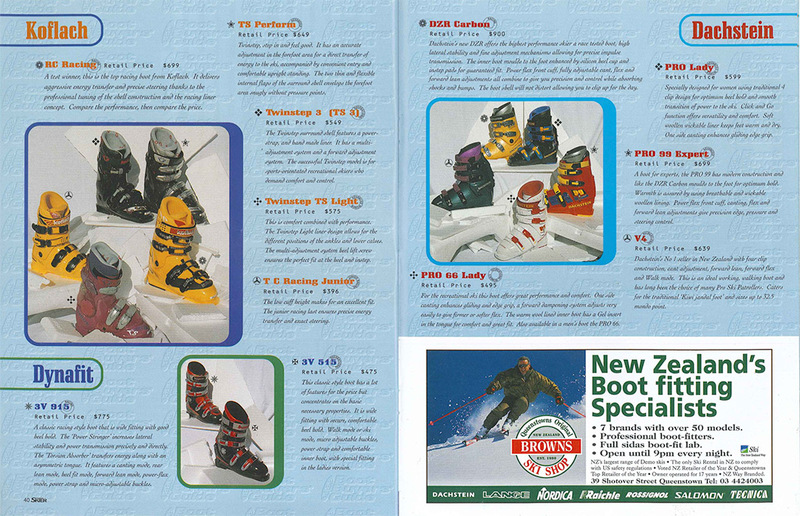 Many of the brands are familiar, but some such as Koflach and Dachstein have now moved on to the greener pastures and lower cuff heights of mountaineering and hiking footwear. The most apparent technological advances seem to be in the Touring Boot category. 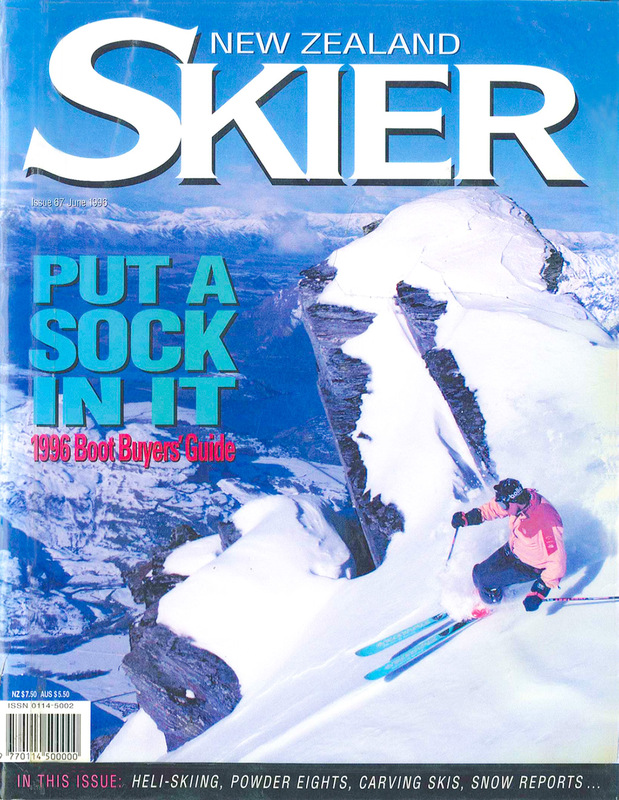 Heli skiing was a lot cheaper back then. 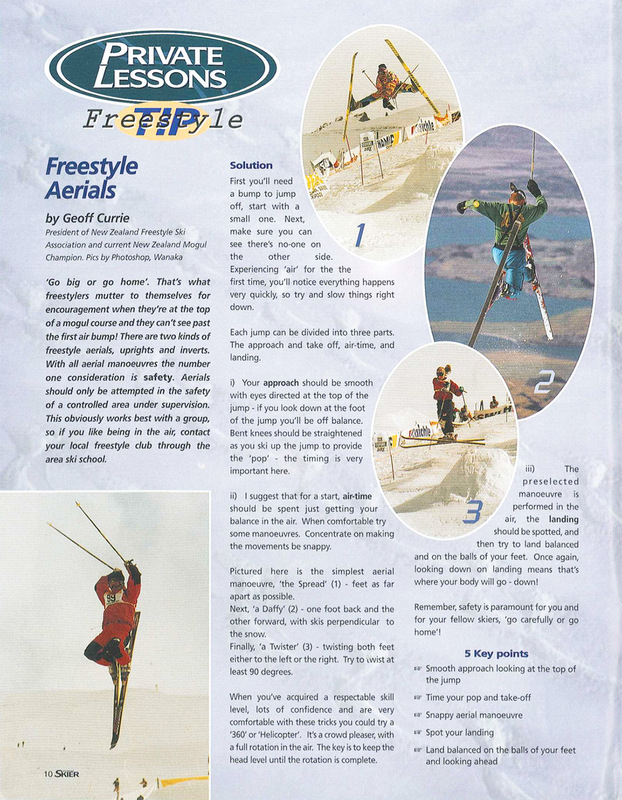 Freestyle skills to impress the ladies: Daffys, Spreads, and Twisters. 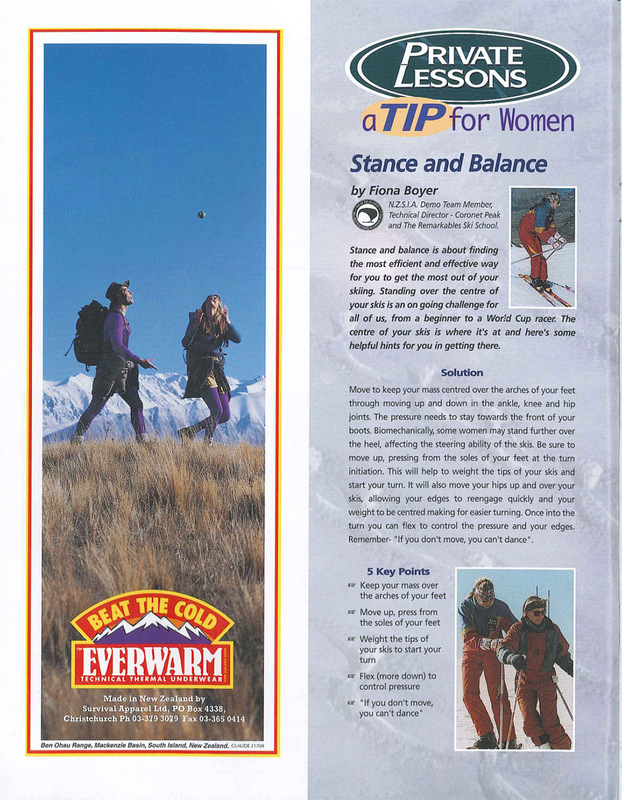 Skiing Skills for the ladies: Standing up straight. Back in the 90’s the alcohol giants advertising dollars made the world of sports go round. 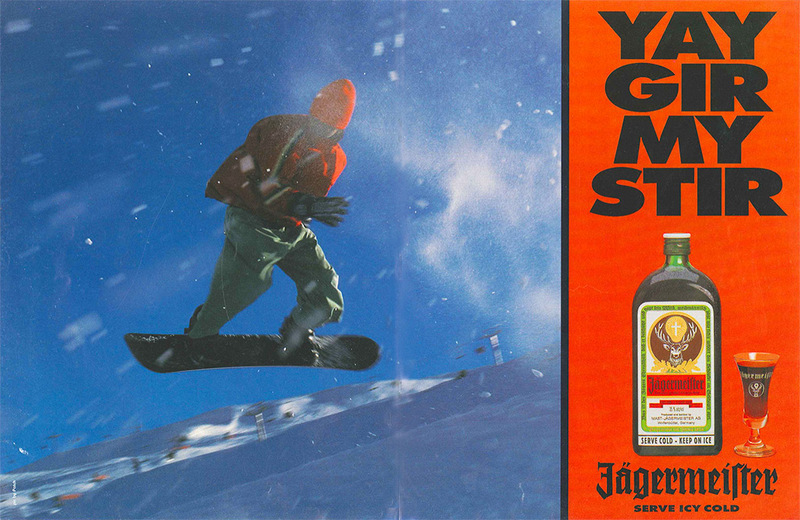 Jagermeister seemed intent on educating their audience on how to actually pronounce their product. 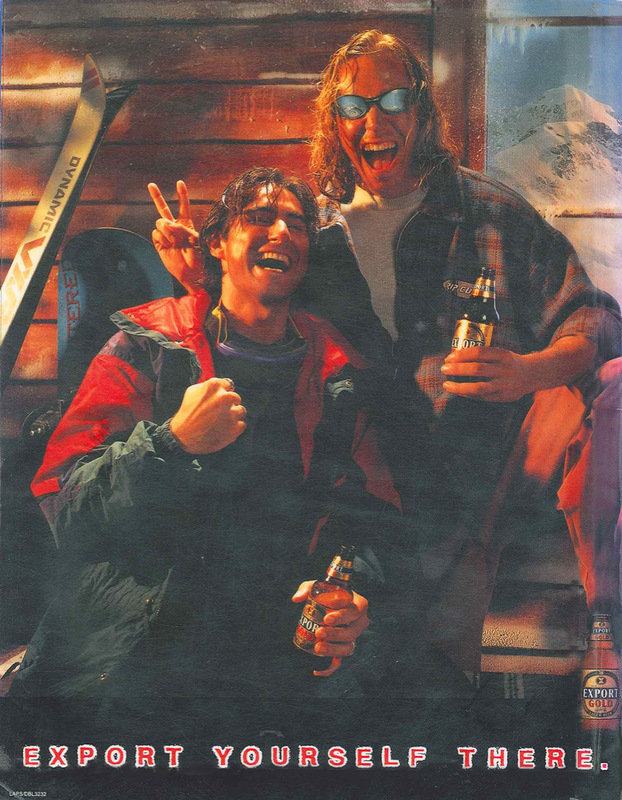 And Export Gold nabbed back cover advert, and the photoshop miracle of a mountainous window scene being reflected in their model’s sunglasses. 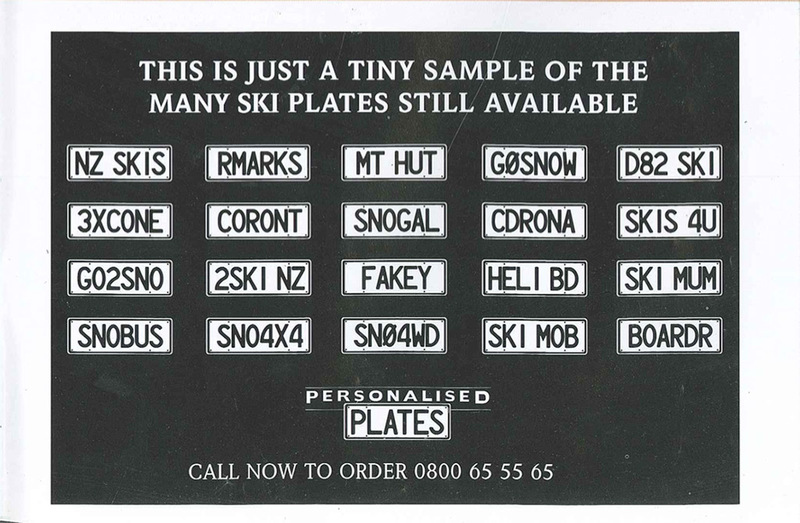 And lastly, we would love to know who out there actually has one of these personalised plates? 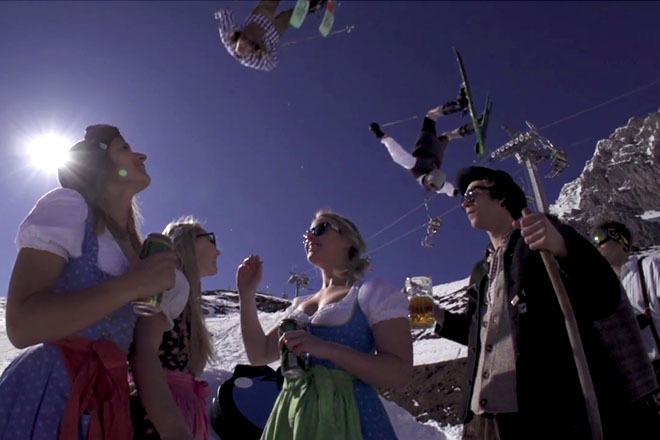 If you have SKI MOB you better be representing it hard. Wasserstein A, says Gesundheit Potenz NHS Choices.